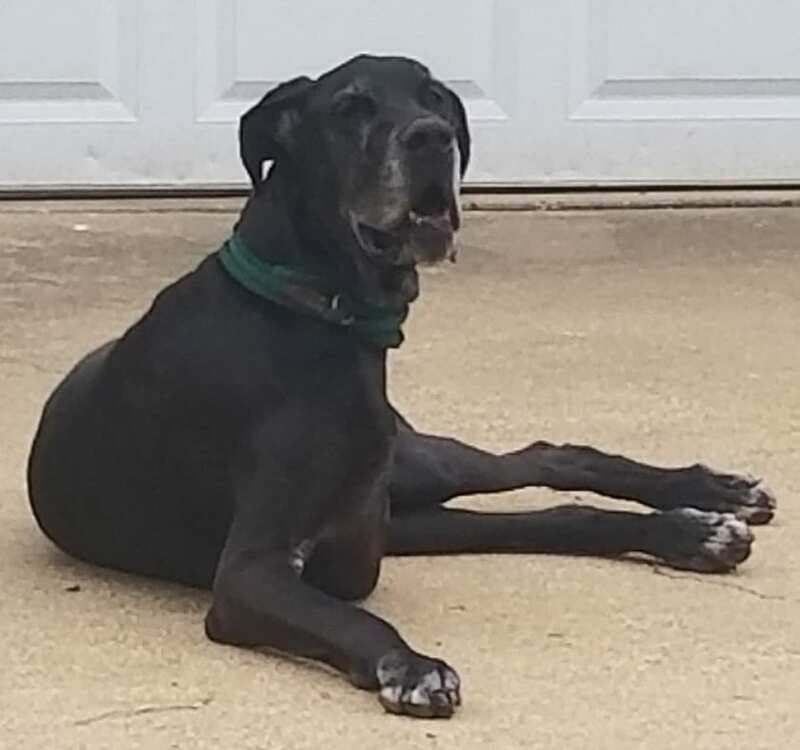 Roscoe the Great Dane was not considered a good candidate for amputation after being diagnosed with osteosarcoma. 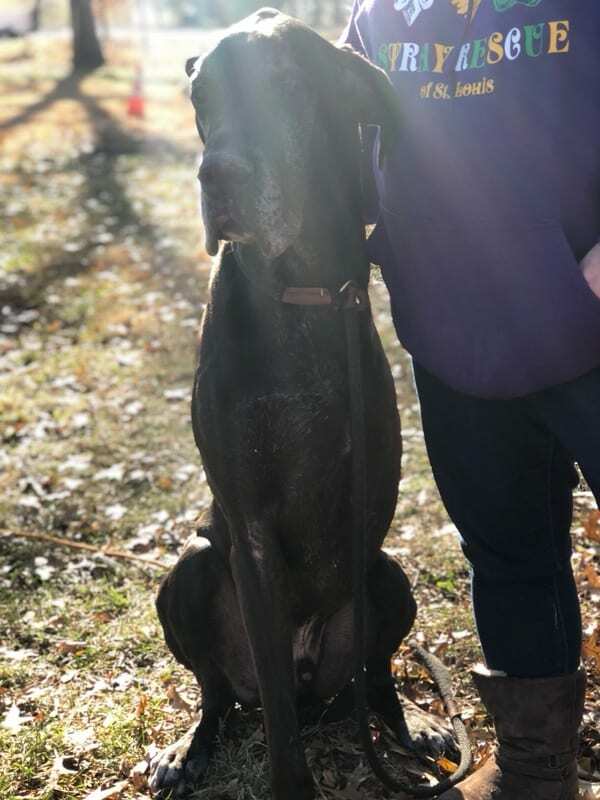 But his mom Diane felt otherwise, and two years later her “Greatest Dane” is standing here today thanks to the breakthrough ELIAS Animal Health Cancer Immunotherapy treatment. 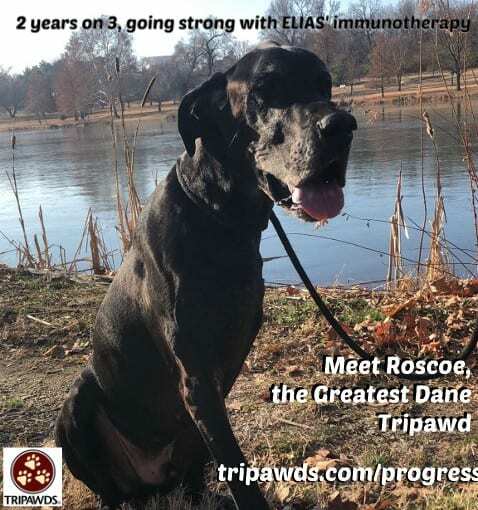 Look Out Cancer: Roscoe and the ELIAS Dog Cancer Immunotherapy Treatment is Here! Read on for an interview with Roscoe’s mom Diane, to find out how this handsome hero is beating cancer with immunotherapy. Can you explain a little more about why you pursued this treatment instead of chemotherapy? Diane: For me personally chemo was really not an option. 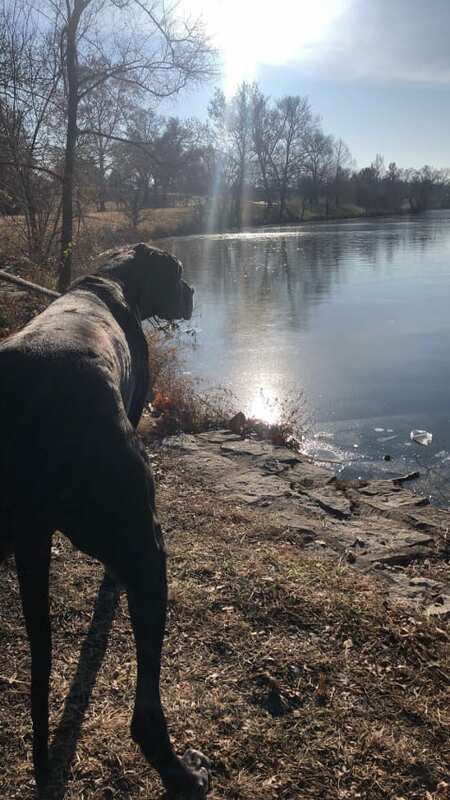 Working in the nursing field and seeing the side effects of chemo, I was not sure that I would want to put Roscoe through that for the year longer he may get from it. Also from the poor prognosis that was related to me from the vets, I was not wanting to pursue chemo. Did you have any experience with chemotherapy before Roscoe’s diagnosis? No personal experience with chemo for any of my previous dogs. Years ago one of the surgeons I worked with had a dog that received chemo and she made the statement that she would never put another one of her dogs through it again. That statement always stuck with me. The lack of hope played a huge part in my chemo decision. I was told by the orthopedic specialist that amputation was really not an option for Roscoe due to his size and also “it usually has already spread so no reason to put him through that unless he fractured that leg.” So it was truly a hopeless feeling I had. I did my research and the info I found made me feel hopeless as well. I did contact another specialty hospital in the St. Louis area to just hear what they said regarding amputation and possible chemo, but the first appointment they could get us in was a month away. My only response to them was he could be dead in a month. That is when I called Mizzou and made an appointment with their oncology department and was able to get in in less than a week. At Mizzou, they did a thorough assessment of his other joints to make sure he could tolerate that change. As the surgeon said, amputating Roscoe was as close as you can get to amputating a horse, but he was confident he would handle it, and he has. What went through your mind when Roscoe was recuperating from amputation? Initially he did amazing and then at about day 10 he hit a point where he was fatigued and just wore out. I thought at that point, did I do the right thing? What if he was too big and amputation is hard on him? (Roscoe was between 165-170 lbs prior to amputation. 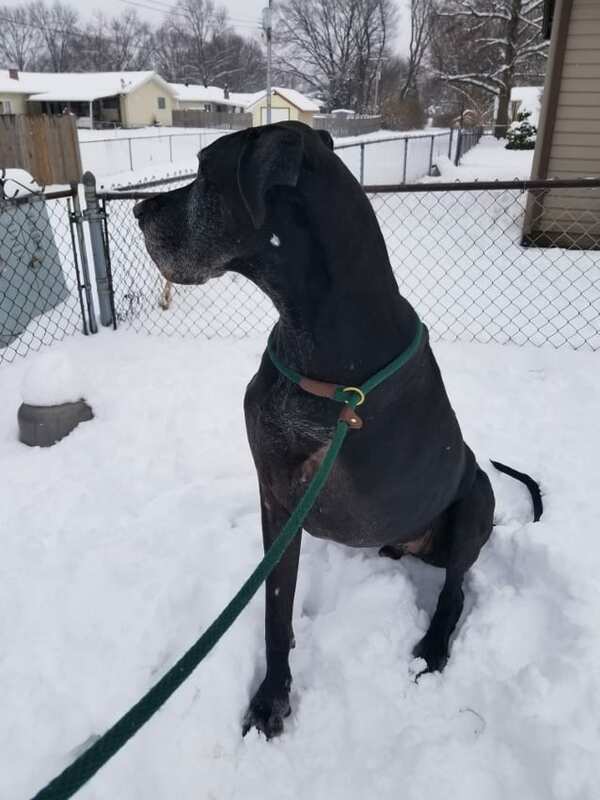 He was very slim but very tall even for a Dane). But it was a few days later he was doing great again. I just kept hoping and praying that this study showed positive results as I felt this was his only hope and I had to give that to my boy. After all he is the Greatest Dane in my eyes. How long until he got his sparkle back? When he went to have his staples removed at the two week mark he was his old self, just now new and improved without that hurting leg. He was able to jump into the SUV for his two week appointment. I had a special ramp made for him that he never needed. Being the over cautious momma, I did limit his activity somewhat even when he was feeling better at the 2 week mark. But truly besides the about 5 days of fatigue, he let nothing stop him (except his momma’s limitations she set). Participating in a clinical trial that doesn’t include a common standard of care like chemotherapy can be scary. What kind of advice can you offer to anyone thinking of trying this therapy, or participating in another pet cancer trial that’s so experimental? My advice is to do what you think is right for you and your pet. Ask the questions, and don’t stop until you get the answers you are comfortable with. Being in the medical field my thought was, we know what chemo can and has done, so when they brought up the immunology study my ears perked up. I was so eager to see what this advancement in medicine and treatment could do. Someone had to try, it wasn’t going to hurt him, things truly can’t get worse than they are (hearing basically to enjoy your time with him and keep him comfortable while you still have him) just do it and have hope. That is what the ELIAS study gave me and Roscoe was hope. He did have a metastatic tumor but his body with his amped up immune system and t-cells fought that off. We are at the 2 year mark of his symptoms and diagnosis. I always hoped that he would be here, happy and full of life. He had no side effects from the treatment, his quality of life always was during treatment and remains amazing. He has no idea he had cancer (I never told him!). He still jumps up and gives hugs, jumps in the car. And does the stairs like a champ. He is 8 yrs old now, so he is experiencing big dog joints, but it doesn’t stop him. Isnt this immunotherapy supposed to be used on Limb spare where the leg can be saved And the vaccine is made from the removed tumor?